Last year it was all the rage to wear tiny tiny crop tops during summer, which are all well and good, but I'll be honest, I'm glad that trend has moved on a bit. I'm all for body confidence, but when I'm planning on a huge BBQ feast, a crop top is not my first choice. Which is why I'm rejoicing that floaty floral maxi dresses are this summers big staple. You can't miss them on Instagram, bloggers and in every shop window. 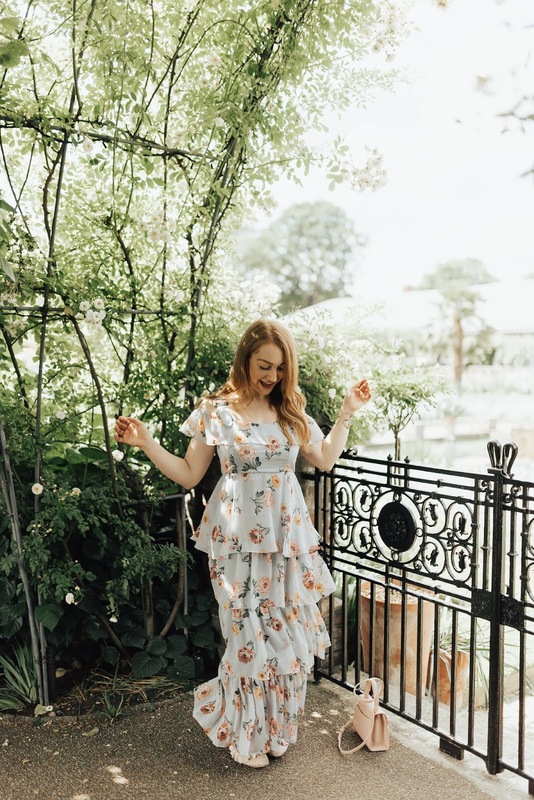 At first you may think a floral maxi might be a little frumpy. 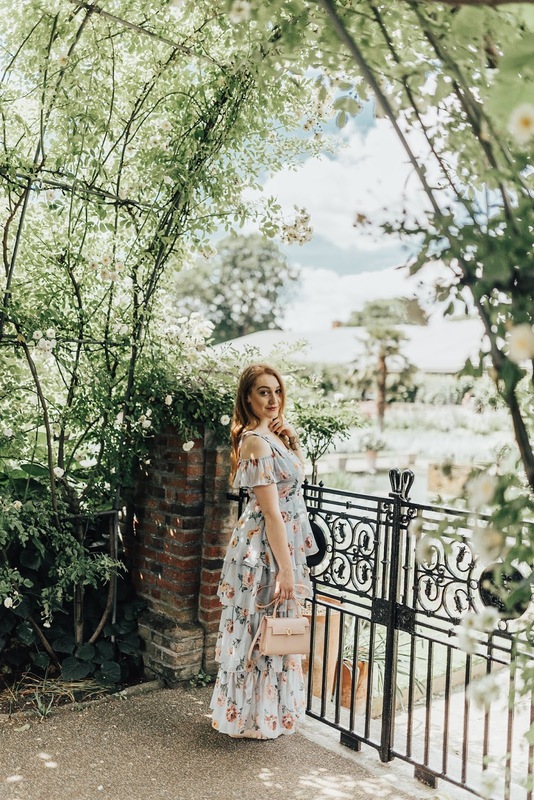 On paper it doesn't sound particularly modern, however I found it to be the most versatile item I own right now and a floral maxi has become my go to for so many occasions. One of my favourite dresses I own right now is this gorgeous number by Walter Baker. Walter Baker an amazing brand I discovered last year and have come to own a number of pieces from them, and this dress is no exception. I love the tiered ruffle detail and the nipped in waist makes sure you dint look like you are wearing a tent. But it's the big buckle straps on the shoulders that really make this a modern dress and take it from fuddy to fabulous. Maxi dresses are made for day time dressing. Light, airy, they are a cool way to cover up. In fact maxi dresses often add a bit of flare to a day time dress as they make a statement that a mini dress just can't. When it comes to floral, light prints work well, but try to avoid fussy as it can look like your grandma's curtains. 2018 has been all about ruffles, layers and cut outs. 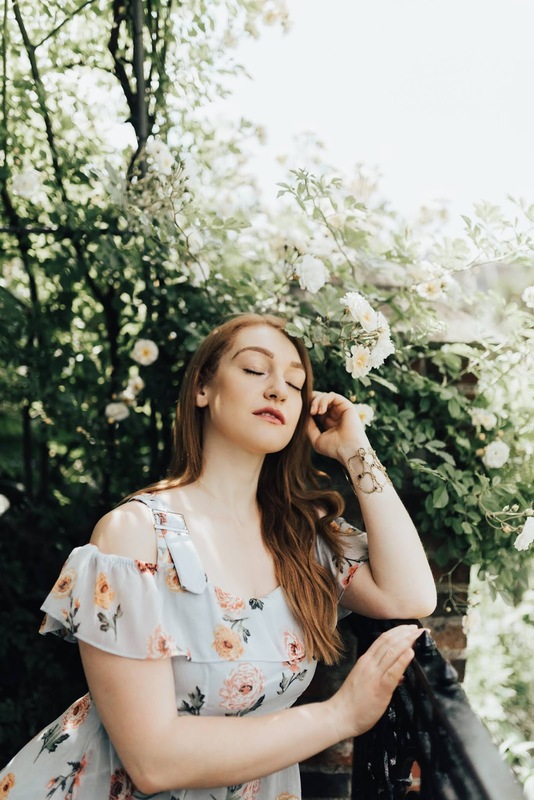 Whilst a maxi dress can often be thought of as a cutesy dress, choose on instead with some edgy details like cold shoulders, statement ruffles or an unusual neckline. Maxi's aren't just for the day time. 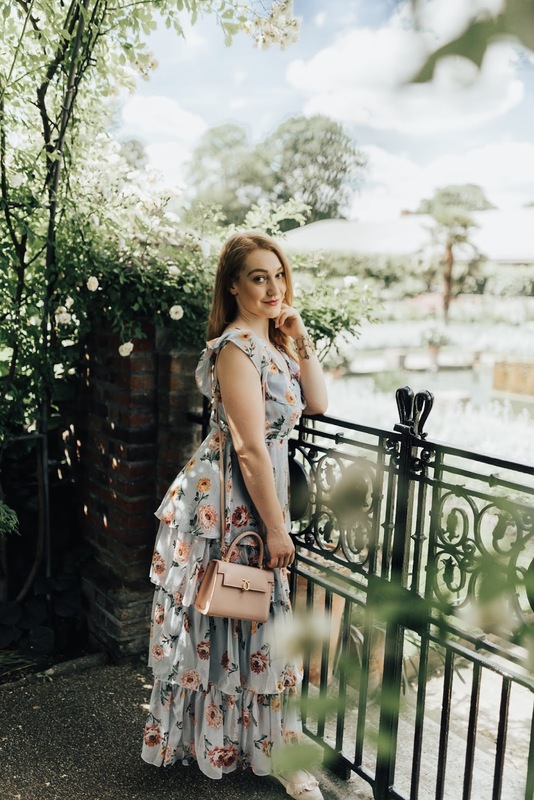 Whilst your first thought for an evening dress would be to go short, a maxi dress can actually be just as, if not more alluring. An evening dress can really make a statement here, with a thigh split or a plunging neckline. To keep it elegant rather than frumpy, try to stick to more fitted styles such as a cinched in waist or a fitted bodice. In the evening, you can really go to town with the fabrics and the detailing too. Silks, beads and lace can take a simple floral dress from day time picnic to night time dinner. 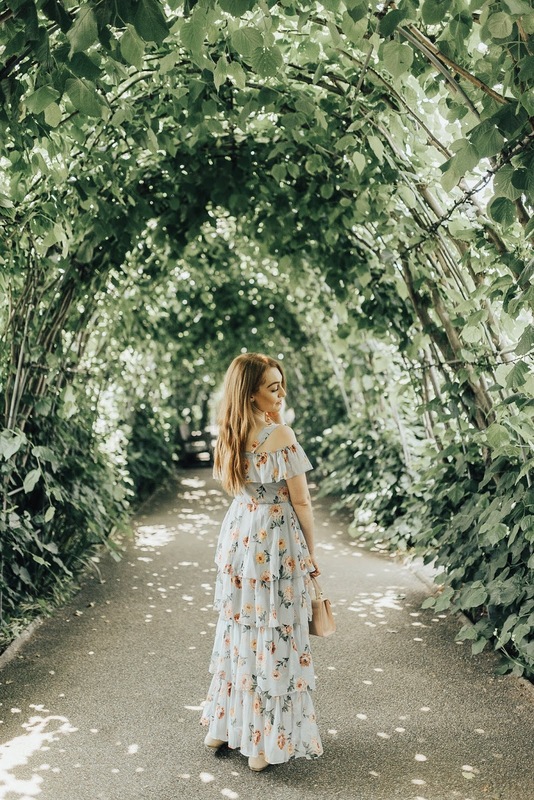 The floral maxi dress is everywhere right now and shows no signs of going away, especially during this heat wave we are having. Theres a shape and style to suit everybody so get ready to embrace longer days and even longer lengths this summer.